The site of the world’s worst nuclear accident is being transformed into a source of clean, renewable energy. In 1986, a reactor meltdown at the Chernobyl plant in Ukraine killed 50 people. Another 4,000 deaths have since been linked to radiation exposure from the site. 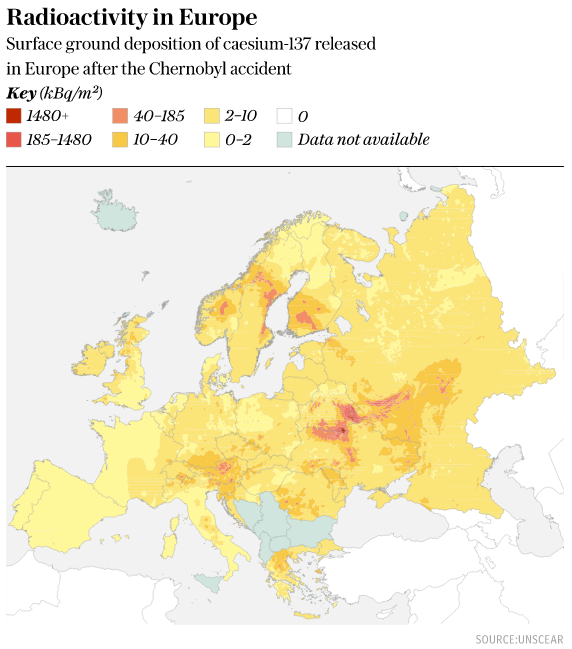 As the map below shows, radioactive fallout from the plant spread across Europe. It travelled such distances because the explosion, and fire that followed, released radioactivity high into the atmosphere - where it was spread by the wind. The 30km exclusion zone around the devastated nuclear plant is still largely a wasteland. But things are about to change. Two Chinese companies are building a one-gigawatt solar power plant to the south of Chernobyl. That's enough to light 100 million LED bulbs . GCL System Integration Technology Co Ltd. and China National Complete Engineering Corp hope the new solar farm will help regenerate the area. The project is already attracting investment and assurances from local authorities. “It is cheap land, and abundant sunlight constitutes a solid foundation for the project ,” Ostap Semerak, Ukraine’s minister of environment and natural resources told the Guardian. That cheap land and the sunny skies above it come with a huge challenge. A major construction project in a nuclear contamination zone is no easy feat. Engineering work has already started but there has been no public disclosure about safety measures, the completion date or a price for the project. Despite the challenges, the transformation of Chernobyl is attracting interest from around the world. A German renewables group is also building a solar plant there and dozens of smaller investors are installing solar parks nearby, although on a smaller scale. Last year, the European Bank for Reconstruction and Development (EBRD) funded a huge structure to protect the damaged nuclear reactor and prevent radiation leaks. It cost $2.2 billion and was built over the crumbling concrete dome that the Soviets hastily erected 30 years ago. The lingering radiation at Chernobyl is a concern to the European Regional Development Fund, which is considering whether to finance the solar projects. Loans will be contingent on environmental due diligence, spokesman Anton Usov told Bloomberg . Chinese, and other foreign investment in and around Chernobyl will benefit Ukraine’s economy and make it less dependent on Russian energy. Former residents of Chernobyl, including those from the town of Pripyat, are only allowed to return home briefly once or twice a year. In recent years, tourists have started travelling to Chernobyl. 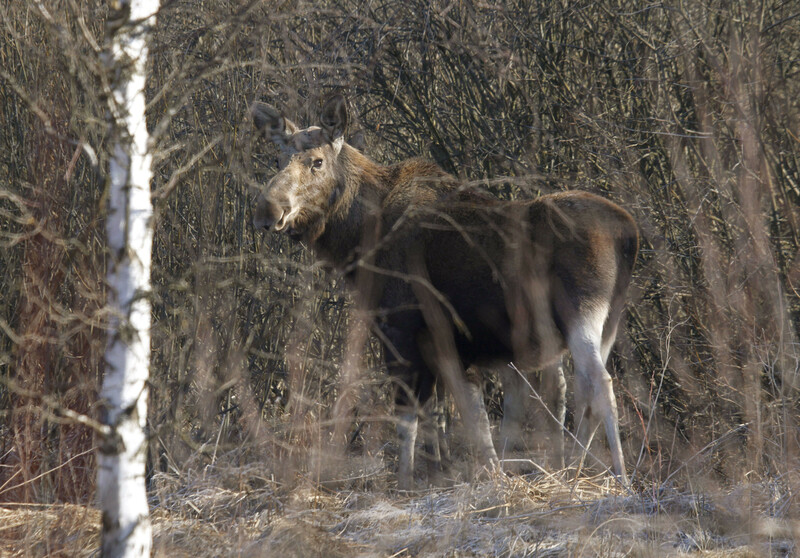 Larger species of wildlife are thriving in the exclusion zone, including elk, deer and wild boar. However, scientists say that radiation has led to a decrease in small mammals, insects and spiders. The transformation of Chernobyl into a safe, renewable energy hub will be a remarkable turnaround 30 years after the world’s worst nuclear accident. On the distant horizon, the huge structure that entombs the twisted wreckage of the nuclear reactor will stand as a reminder of the damage that can be done as we seek to provide energy to the world’s growing population.